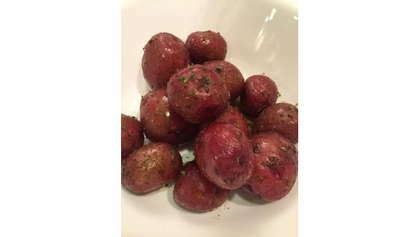 Straight from Mother Earth, these Herbed Red Potatoes make a satisfying side dish to any meal. Place in large pot and cover with cold water by 1 inch. Sprinkle dash of salt into water. Bring pot to a boil and allow to simmer 8-10 minutes or until potatoes are fork tender. Carefully drain water from pot. Fold in olive oil, Sicilian herbs, salt and pepper. Place in serving bowl and top with fresh or dried parsley.